It was just a year ago that the Bucs were lifting the trophy in Frost Stadium, having just won the Southern Conference Championship. However, this season the Bucs sit at the bottom of the standings as the season comes to a close. 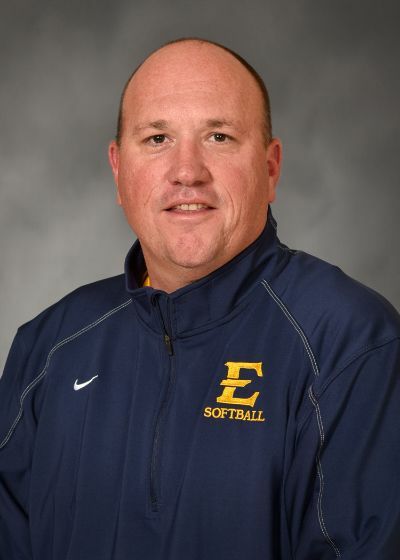 Fortunately, with seasoned coach Brad Irwin at the helm, ETSU looks poised to come out strong next season with a fresh batch of up-and-coming underclassmen. Senior Madison Ogle (Maryville, Tennessee) has been stellar this season from the pitching mound. She is 5th all-time in strikeouts for the program. Fortunately, pitcher Kelly Schmidt (Norcross, Georgia) is going into her junior year, and has already played significant time on the mound. She went from 28 innings pitched in 2017 to over 55 this season. Behind her is freshman Marissa Honeycutt (Kingsport, Tennessee), who has only pitched 21 innings this season, but could make a similar jump as Schmidt did. In the outfield, two up-and-comers are opponents turned teammates. Julia Fritz (Glen Allen, Virginia) and Kelly Warren (Mechanicsville, Virginia) competed on opposing high school teams. The two high schools, Glen Allen and Atlee, meet every year, with Atlee winning the last two meetings with Warren on the roster. They now find themselves donning the same jersey and working together to combine for over 40 hits on the season. Fritz and Warren are both also in the top five batting average for the team, hitting over .263. The pair from Virginia have already proven themselves as reliable players, and with 3 more seasons to develop their skills, the sky is the limit for the duo. Perhaps the biggest bright spot for this season is the play of Lauren Lee (Cleveland, Tennessee). She was a two sport athlete in high school, performing in state tournaments for both volleyball and softball, but dedicated her college career to softball. It is easy to see why. She leads the team in batting average, hitting a respectable .316. She has also totaled 30 hits and 15 runs on the season. With time to develop, expect Lee to raise those numbers. Despite the disappointing performance in the regular season, it is hard not to hopeful of the future. Coach Irwin has already proven to be successful at developing players and turning a team around. Compare the 2015 season, when the team went 3-15 in conference play, to 2017, a championship year. In two short years, the team almost doubled its win total and went on to win the SoCon championship. Veteran leadership will also play a role. Key players from the 2017 championship squad such as high school teammates Tiffany Laughren (Erwin, Tennessee) and Taylor Wright (Erwin, Tennessee) will be going into their senior year next season, giving them another shot at a championship. Wright bumped up her batting average from a .222 last season to .300 this year, and she did so with more usage as well, having 63 at bats in 2017 compared to 80 in the current season. On the other hand, Laughren had an off season, falling from an astronomical .373 batting average last year to .257. With leadership from Coach Irwin and his veteran players, the young talent of the Bucs are in the right environment to flourish. There are still eight games remaining in the regular season, but with a 4 game cushion between ETSU and the number five seed Samford, it looks like the Bucs will enter the SoCon tournament in either the sixth or seventh seed. Adversity breeds success, so expect future success for the Bucs.